Educate yourself about your car insurance policy's terms and conditions before buying or renewing it, suggests Animesh Das, head of product strategy, ACKO General Insurance. In recent times, one essential cost that has gone up is the premium paid on car insurance. 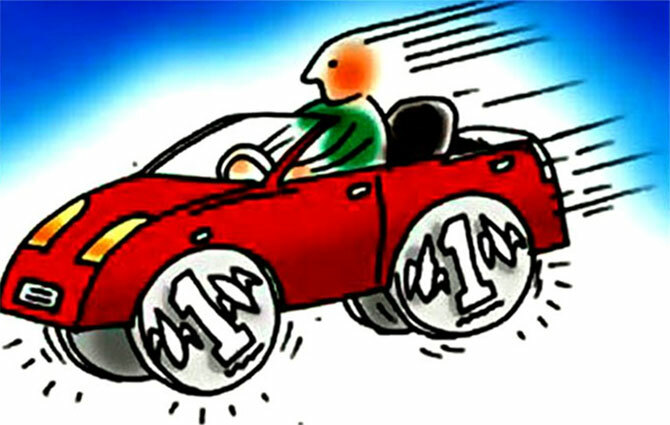 The coverage offered on personal accident cover has been hiked, and the premium charged for it has also been raised.It is mandatory by law to buy car insurance due to the benefits it provides to the owner as well as to others.If cost has risen, that cannot be made a reason for avoiding the purchase of car insurance altogether.Hence, one needs to find ways to deal with the hike in premium. Let us begin by understanding the recent change. The minimum personal accident cover for death or disability of the owner/driver has been raised to Rs 15 lakh. Earlier the compensation stood at a meagre Rs 2 lakh. All car owners have to buy this cover, whether they buy a third-party cover or a comprehensive cover. The minimum premium for buying the cover is Rs 750. This change has already been enforced. The next time you go to renew your car insurance policy, you will have to pay a higher price. A range of discounts is available on car insurance. If you are a safe driver and bear the cost of minor repairs or accidents, like a scratch or a small dent, you may not raise a claim. This behaviour will help you earn a No Claim Bonus. This discount is considered to be the most prominent in the car insurance business. But there are several others in addition. Both types of car insurance policies -- third party and comprehensive -- come with a personal accident cover. However, extending the coverage further with the help of add-on covers should be governed by your requirements, as they could increase your cost further. Gauging the risks you might face and then purchasing these additional coverages will be beneficial as well as economical. Go online and compare the premium rates offered by various car companies. Rates can vary, depending on the claims experience of the insurer, and how aggressive it wants to be in attracting customers. Doing online comparison will help you find the best plan at the best rate.Unless you compare, it will be difficult for you to find good deals. Insuring your car online is the easiest way to get a sizeable discount on your car insurance premium. Due to the rise in digitisation in the Indian insurance industry, it has become convenient for potential policyholders to research, compare, purchase, and renew car insurance online.As digital-first insurers focus on an internet-driven sales model, they spend less on operational cost as compared to traditional insurers, and are able to offer insurance policies at a discounted price. In addition to the 'online purchase discount' mentioned above, some digital insurance companies also provide exclusive offers on car insurance from time to time. These offers often lead to a discount on the policy premium. Installing an anti-theft device in your car has dual benefits. One, it adds a layer of security against car theft. Two, the insurance company views it as a proactive measure to reduce the probability of car theft and hence offers a discount on car insurance premium. To avail of this discount, make sure you install anti-theft devices that are certified by the Automotive Research Association of India (ARAI). Becoming a member of the Automobile Association of India comes with several benefits. One of them is that you become entitled to a discount on car insurance premium. You can check out the list of benefits of joining this association and decide accordingly. You are eligible for a No Claim Bonus (NCB) if you do not raise a claim during the policy period. This discount can be availed while renewing your policy. NCB can go up to 50 per cent if no claim is raised during a five-year period. Raising a claim will reset the NCB to zero. Note that this calculation can change depending on the insurer in case of a long-term car insurance policy. A car insurance policy includes a compulsory deductible component wherein you contribute a certain sum of money in case of a claim. A voluntary deductible is a sum of money over and above the compulsory deductible. By choosing a voluntary deductible, you convey to the insurance company that you are willing to contribute a fixed sum of money in case of a claim. As the burden of insuring the vehicle is reduced slightly for the insurer because you agree to share the risk, it offers a discount on the car insurance premium. This, however, is a tricky way to avail of a discount as in this case the amount you receive in claim settlement may not be enough. Therefore, one must be judicious while choosing this option. Hikes in car insurance premium are not within our control. You, therefore, need to find ways to deal with such challenges. Apart from the tips mentioned above, consider the following pointers as well while insuring your car. One, renew your policy before its expiry date. Failing to do so might increase your premium. If you do not renew your policy within 90 days of its expiry, you will lose your NCB. And finally, compare policies based on the coverage offered as well, and not just on the price at which they are available. Finally, make sure that you make an informed choice by educating yourself about your car insurance policy's terms and conditions before buying or renewing it.